I’m not shy about the amount of mess my kids make in the kitchen. When I started documenting our cooking antics it was because I wanted to share the fun aspect of baking with kids without sugar-coating the chaotic reality of butter covered worktops and flour coated floors, eggshell batter and perfectly imperfect decorating. Probably because of the frequency of our baking, my eldest is really pushing for more independence in the kitchen. 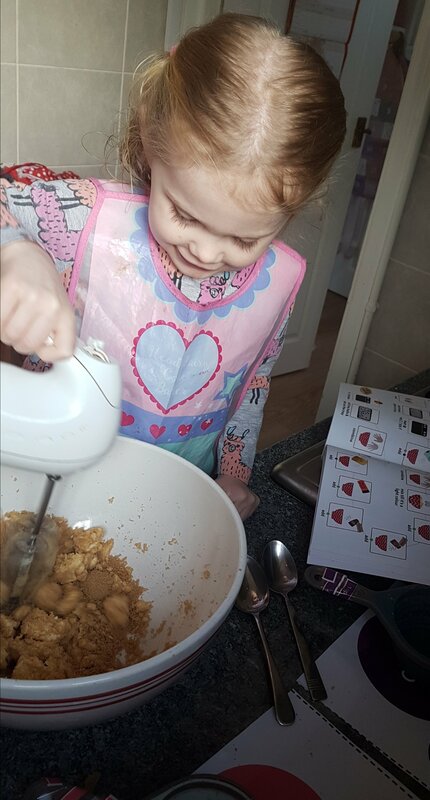 I’m used to her wanting to take over the pouring and mixing elements but I wanted to make sure that our bakes had some elements of butter and flour rather than 80% sugar with some gummy bears thrown in. 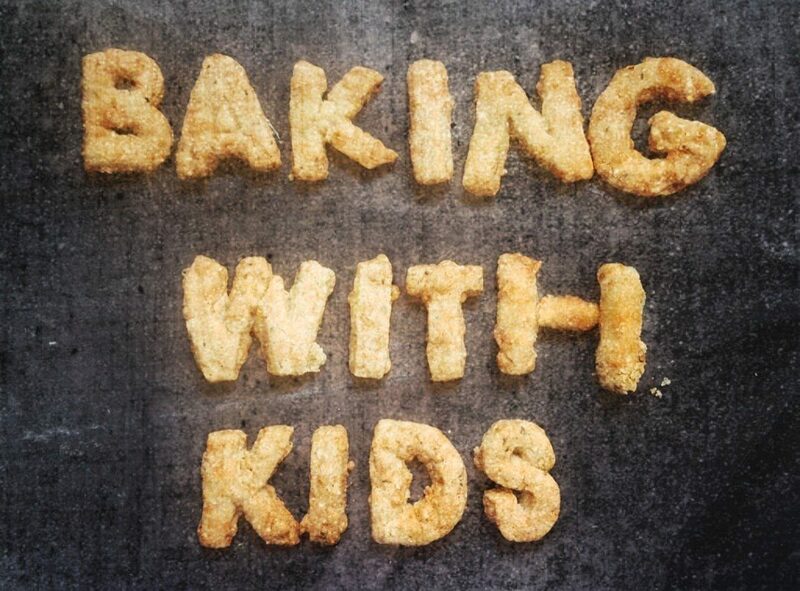 So we’ve introduced the Little Cookerys Complete Guide to Teaching Young Kids to Cook. The book itself is extremely appealing for little ones as it’s full of fun pictures and low on paragraphs of text. To combat the December gingerbread invasion we decided on Pepernoten – a traditional Dutch spiced cookie made with nutmeg, cinnamon and ginger.I have to admit that I was properly excited at the thought of my 3 year old making cookies pretty much solo (not as much as she was) and it really was brilliant. We did do a little more prep than usual (in the sense that I actually did some prep rather than my standard nothing). 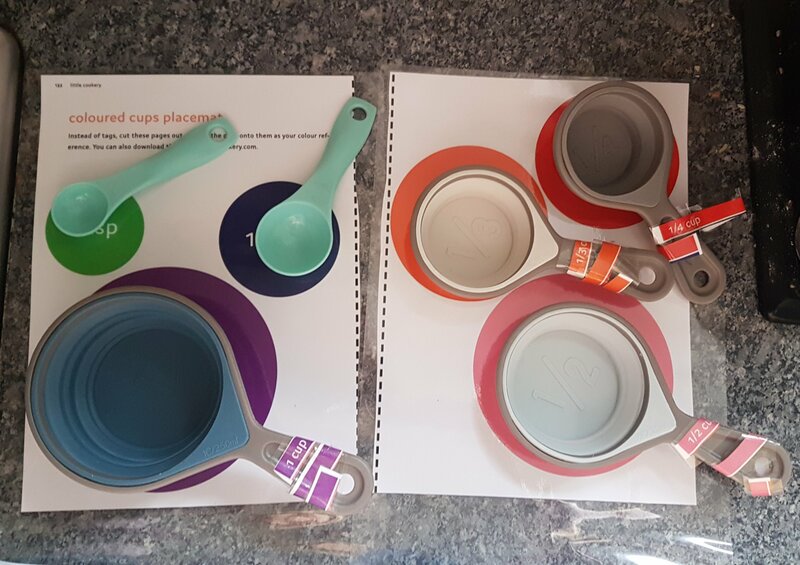 The book comes with placemats and colour coded tabs for measuring cups so I popped these out ready. We set up my youngest at the sink for some splashy water play so she wouldn’t feel left out then the fun began. The coloured cups method essentially means that if your child is able to recognize colours, they can follow one of the recipes in this book. The ingredients are listed as pictures rather than words and the quantities relate directly to a colour. For example 1 cup of flour would be represented by a picture of flour and a red dot. This meant that my 3 year old could scoop out a cup of flour using our red tagged cup, pop it into the bowl and she had added the perfect amount of flour! So with minimum input from me the cookie dough came together. Once made this dough is rolled into little balls to bake, again ideal for little hands, but I did cheekily pinch a bit to make some festive Joy biscuits! My house did smell pretty amazing from baking these spiced cookies and they do taste incredible but the real winner was the happiness on my little girls face when bragging about how she’d made cookies completely herself. She still needs me to cut the crusts off her cheese sandwiches though so I’m not going to worry about her flying the nest just yet! What a fun activity. Love the tool used to teach the kiddos about baking.